It appears you can buy the Montana Constitution. Witness CI-105. Here’s how it’s done: select your special interest initiative; make sure there isn’t an organized, moneyed constituency to oppose it; spend a ton on TV, radio and mailings; threaten a loss of equity in your home and a tax increase, and do it during a recession. Now we have a constitutional amendment that benefits a narrow, self-interested industry. And we’re hamstrung if we ever want to use a real estate transfer tax to balance a budget or mitigate other, more onerous taxes or maybe get a few dollars out of those second or third million-dollar McMansions that sprout up in exclusive Montana resorts. Speaking of the Montana Constitution, it did my heart proud to see voters reject the initiative to rewrite our constitution. Our constitution is an excellent document that was hammered out in a bipartisan manner in 1972 and it endures. And fiscally speaking, a rewrite is an expense we don’t need during these tough budgetary times. Yes, 300% (more) interest is way too high. I get that. There still needs to be an alternative for the working poor … (snip) … Hopefully, I-164 will open a gap into which others will move. As a society, we often focus on the fact that these folks are poor, and ignore that they are working, very hard most often. They need a safety net as much as anyone else. Payday lenders have given them that. Passing I-164 won’t alleviate the need for such. It will only appease a symptom, and certainly not cure the disease. Finally, I-161, the outfitter v. local hunter initiative. I called hunter friends and family members, and got opinions all over the map, literally and figuratively. I heard more dissension and debate on this initiative than the other three combined … but this is Montana, after all. To be honest, since I’m one of the few Montana males who doesn’t hunt, or so it seems, I didn’t lose any sleep over this one. I voted against it and my wife voted for it, so we canceled each other out. The initiative passed 185,546 to 159,346, apparently freeing up more licenses for resident hunters but not really dealing with the bigger issue of hunter access. for most of us there is no need to go into long explanations about why we need to vote for capping the interest rate for payday lenders. it is kind of a natural gut reaction for most people to hate sharks. but if you feel that it’s ok to charge 300 to 650% interest to dangle easy money in front of folks who can barely scrape by and then trap them in a cycle of debt that reaps huge profits for predominately out of state loan sharks then by all means support the payday lenders. payday lenders have reached out to touch family members and friends of most of us here in montana. we know from experience that these loans rarely help anyone in chronic poverty and they are even more destructive for people struggling to survive a recession. 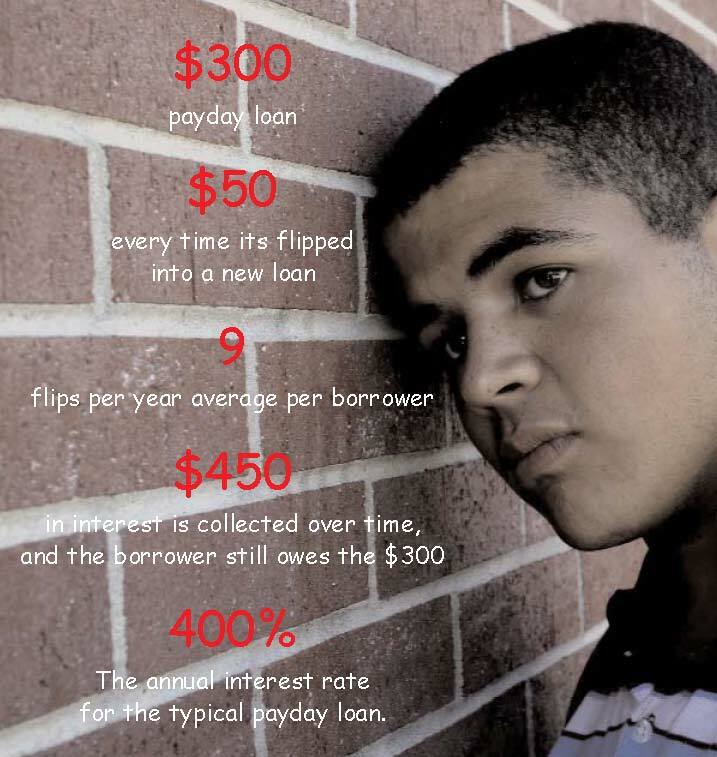 in many cases payday lenders make a desperate situation for our most vulnerable low wage workers much more difficult. montana is just too good to allow this feeding frenzy on our poor anymore. problembear got to Sunday’s Missoulian editorial endorsing I-164, the citizen’s initiative working at reigning in the payday loan lending industry. In fact, taking out a payday loan and walking away completely paid off after two weeks is an experience that occurs only 2 percent of the time. The remaining 98 percent of loans go to borrowers who don’t have enough money to pay back a loan in full and pay other bills coming due during their pay period, so they are forced to repeatedly float the same $300 over and over. In total, over half of all payday loans go to Montana borrowers taking 13 or more a year — that’s more than one a month! It’s virtually never just a two-week loan. Legalized loan sharks. Nothing more. Leave this one to the legislators? Forget about that – reform has been attempted for at least the last 3 sessions, to no avail. Somewhat shamefully, it’s the job of the citizens to protect themselves here. thanks to the missoulian editorial board for recognizing the importance of capping the interest rate on payday lenders and for supporting citizen’s ballot initiative 164 in the upcoming Nov 2 election. it is so well written that i want to provide some excerpts…. payday lenders prey on the most vulnerable of our working poor by keeping them in debt with onerous interest rates that should shame anyone with a conscience. thanks missoulian, for recognizing this and urging our support of CI -164.
the billings gazette editorial kinda makes me wonder just how much the white shirts know about how tough it is out there for montana’s working poor. not very much if you read their vapid endorsement of an industry which is bleeding people dry out there. not much at all……. when you are writing a script it is imperative that characters are well drawn and understandable to the audience. but that is not enough. if there is no tension or if the opposing characters are not evenly matched it is boring and too predictable and people soon lose interest. now that payday lenders are finding it difficult to argue that interest rates that average 400% for our working poor are reasonable they are resorting to their worn out script …. these be dragons folks. in other words, they are a concoction of imagination by payday lenders to make you think that these concerns are real. now, i think a little plot twist at the end is very important in fiction, but in real life, these two dragons are mythical. first. i have never seen a law stop anyone from making money. you can’t tell me that 36% interest is not profitable and reasonable. second. many states (19 so far) have enacted similar laws and people still seem to survive just fine without being charged 400% interest. and the employees simply move where the money goes. 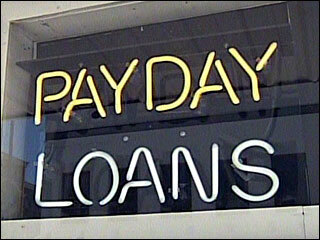 the thing about payday loans that is never examined is the ease with which they are taken out. ten minutes and no credit check. why? because at 400% interest the payday lenders are making so much that the few people who slip through their formidable collection net are simply meaningless and statistically irrelevant. but let me ask one question…. what does it say about a nation that allows this slip-knot of easy money which traps people who cannot easily pay the original loan amount into a cycle of debt in the first place? it says that it is ok to be irresponsible with money. it says go ahead and ruin your credit all you want. it says eat live and be merry for tomorrow you die. it says why be an ant who saves for the winter when you can be a grasshopper who dies at the first sign of frost. payday lending is simply not a healthy thing for our kids working low-pay jobs and our seniors on social security to turn to. it further impoverishes them to the point that already overly burdened non-profits during this recession must step in and support them. the arguments of the payday lenders are false. beware the dragon…..it sells people on a false fairy tale of easy money that turns into a fire-breathing dragon in the end. 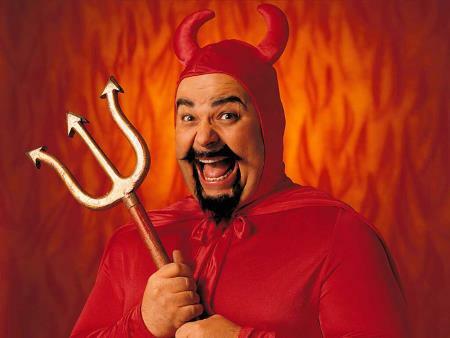 is there no level of depravity that powerful greedy will not stoop to in order to profit from the poor? this author spent some time with the king of the slime devils himself – allan jones. i don’t envy the poor author. i doubt if there are enough showers in a lifetime to wash that visit off. last time i checked, there are 5 of allan’s little torture chambers scattered around montana. i can’t wait until montana sends this guy a message loud and clear…..
montana is too good for your kind…. now get the hell out. give me a break ed…..
this little tidbit floated into my inbox today and i have been working all day trying to help people who are suffering most egregiously in this recession. so pardon me if i am late to the party but i have a few things to share with ed kemmick about the predatory practices of payday lenders and it’s awful effects on our working poor, our seniors on fixed incomes and on the families and the nonprofit charities who must step in and help these people after payday lenders have sucked them dry with unconscionable interest rates…..
angie mcneil took out a payday loan for $300.00 in august to pay for her kid’s emergency room visit. the admitting nurse told angie that she would have to at least pay the $250.00 co-pay on the bill to get further treatment. angie makes $8.50 per hour working night shifts as a cashier at a truck stop. angie is a single parent. the father pays little or nothing in child support and is currently unlocatable. angie takes home $587.00 every two weeks. her rent is $529.oo per month. her utilities another $130.00 in the summer. double that in the winter months. her car is a 1986 toyota corolla with bald tires, needs brakes and barely runs. she pays $95.00 a month for gas and insurance. this leaves angie with $420.00 for groceries, emergencies, and extras. on august 20 the payday loan check of $360.00 that angie had written to the payday lender was deposited and her check was now reduced to $227.00 after the payday lender’s check cleared. angie had to pay for utilities and medicine for her child which would leave her with no grocery money or gas money to go to work. oh yeah, and her car insurance was due also for $58.00. so angie went back to the payday lender and took out another loan of $300.00 to make it to her next check on september 5th. it is now october 11. so far, angie has paid $240.00 to these vultures to borrow the original $300.00 and that is still unpaid. angie doesn’t know what rock she is going to turn over to come up with an extra $300.00 until at least she can submit her taxes and get a small refund which the payday lender is more than willing to file for her as long as she signs it over to them. and please tell me ed that you do not really support these thieves? please tell me that someone broke into your blog account and wrote that sorry apology piece for this evil industry while you were out hunting? please tell me that at the very least you were suffering from a high fever and are not responsible for anything you wrote here in montana’s largest daily newspaper? i am appalled at anyone seeing any reason to allow these spawns of satan to continue doing business in montana. much less anyone using the story of a very well paid (by montana standards) person who sees no damage done by this type of loan. good god ed. i am too shocked at your oblivious piece to respond. it is simply too wrong of you to take your experience and extrapolate from this brief and painless transaction and apply it accross the board to all montanans. please get out and visit with some real working poor ed before your piece gives these contemptible bastards the right to condemn people to their heartless system of squeezing the last drop of blood from those who are most vulnerable. WHAT: Statewide telephone town hall meeting on I-164 Cap the Rate Initiative. WHO: Telephone town hall presented by 400% Interest is Too High Cap the Rate Campaign. For the first time in Montana, supporters will use a telephone town hall meeting Thursday to host a discussion of a statewide ballot initiative. The telephone town hall will focus on I-164, the initiative to cap interest rates on payday and car title loans. It will take place at 6:30 p.m. Oct. 7. Several thousand Montanans across the state will be called and encouraged to participate in the meeting. Organizers expect anywhere from 3,000 to 6,000 people to listen in. This call gives thousands of voters the opportunity to ask questions and hear how I-164 will protect state consumers from the triple-digit interest rates on these loans, said Claudia Clifford, advocacy director of AARP Montana. AARP is one of several Montana organizations that support the I-164 campaign. The town hall is a great use of technology, Clifford said. Montana is a big state, with long distances between cities. But this gives people in large and small communities, from all over the state, a chance to take part in the discussion. Former state Sen. Dan W. Harrington, treasurer of the Cap the Rate Campaign anticipates that any callers who are unsure about the issue will support I-164 after hearing more about it. Lending practices that prey on struggling families and seniors and trap them in debt are bad for our communities and bad for our state, Harringon said. Montanans believe in fairness and in looking out for their neighbors. Thats why theyll support this initiative at the polls. Clifford will act as the moderator of the call, which will also feature guests including national experts who will be available to answer caller questions. Participants will receive a call at 6:30 p.m. Thursday, Oct. 7, and will hear a message encouraging them to stay on the line. They will have the opportunity to ask questions once on the line. The call will last about an hour. Supporters of I-164 include AARP Montana, AAUW Montana, Montana Indian Education Association, the Policy Institute, MontPIRG, Center for Responsible Lending, homeWORD, MEA-MFT, Montana Human Rights Network, Montana Catholic Conference, Montana State AFL-CIO, Montana Womens Lobby, Montana Community Foundation, Montana Women Vote, NeighborWorks, Rural Dynamics, SEIU 775 and Womens Foundation of Montana. the citizens of montana take their right to vote very seriously, and we don’t like it much when somebody tries to take that right to vote away from us. if the citizen’s initiative process has taught me anything it has taught me that the people of the state of montana know better than their leaders how to lead. i am assuming a huge thing here, given that payday lenders are determined to try to rob montanans of the opportunity to vote on I-164 to cap the rate on payday lenders via the courts. i am assuming we will be successful in defeating the payday lenders no matter what the courts decide. why? because the payday lenders have gone too far by suing us to prevent us from voting on this issue. no matter what , the people of this state do not appreciate special interests getting in the way of our voting rights. so i assume that the increasing anger toward payday lenders will only become more vehement if they are temporarily successful in stopping this measure. the bipartisanship support exhibited by montana’s legislators toward passage of this measure also gives me hope because no matter how the courts rule, the legislature cannot help but see the 85% support accross montana for this initiative and pass a similar bill in the upcoming legislature. payday lenders have gone too far in montana with their legal shenanigans and questionable tactics. it may or may not delay passage of this much needed bill, but their arrogance has earned them even more anger from the citizenry and leadership of montana over an industry which is already despised in this state. one way or another, the people of this state will finally rise up and demand that the predation and greed which is victimizing the most vulnerable of our seniors on fixed incomes and our low wage workers must stop. the payday lenders are simply sealing their own doom with their army of out of state lawyers trying to get between the citizens of this state and our voting booth. montana’s secretary of state linda mcculloch has just sent out an announcement that I-164, the citizens initiative to cap the rate of payday lenders has achieved enough signatures to be on the ballot this november. payday lenders pucker up and get ready! it’s not official yet, but it looks like your days of preying on the working poor of montana with 650% interest rates are numbered…. it looks like it will be on the ballot this november. if the history of payday lenders facing ballot measures in the other 17 states that have capped payday lending rates is any guide, the vote should be very much in favor of the people of montana who want a fair treatment of montana’s working poor. i know i haven’t posted in awhile and i have tried to stay away but Mt initiative I-164 is just too important to ignore. if we are to get this citizen’s referendum up for a vote this november we have until June 18 to do it. if you are reading this and if you or someone you know has been hurt by payday lenders please leave a comment here and tell us your story. i have been fired up about this ever since finding out what a crooked title loan place did to my daughter’s credit many years ago. up until then, i never imagined that a state licensed business could be allowed to treat people as they do in this shady predatory lending industry. i thought only the mafia acted this way in dark alleys. but, in less than ten years these places have sprouted like toxic weeds accross Montana. in fact, since 2001, predatory lenders have multiplied so much that they actually outnumber starbucks in this country. Montana state law currently allows payday lenders to charge 650% interest per year and auto title loan businesses are allowed to charge 300% interest per year. these interest rates are unconscionable to any thinking fair-minded citizen which is why Montana’s citizens are stepping up in the next three weeks to gather signatures so that we can get this referendum on the ballot this November and protect our most vulnerable working families from this greedy destructive bloodbath. many states such as oregon and ohio have already enacted citizen sponsored legislation which protects their working poor from these loan sharks. we must do the same. if you wish to help please contact Erin at Montana Women Vote and gather some signatures so that we can at least regulate this industry to a reasonable interest rate of 36% per year. Montana Women Vote has a lot of good information about these predators and they are a lot smarter than me. please consider helping them to gather signatures for this important petition initiative and contact Erin. if you cannot gather signatures please seek us out and sign your name to the petition along with the growing thousands of montanans who want our state to treat our working poor with more fairness. and thanks for having the patience to listen to a bear of very little brain once again. Trevis Butcher, the group’s treasurer, said the investigation and ensuing legal battle have prevented MIA from carrying out the plans that would show it’s more than just a campaign-fund conduit…Those plans would cost about $1 million a year, the group said in court documents filed last week. They include the talk radio show, investigative reporting on “limited government and property rights issues,” gathering information on “abuses of eminent-domain and private-property rights” in Montana, and comparing the cost of government services to private-sector providers. Great! Sounds like someone’s got a lot of interesting ideas. There’s always more room in Montana politics for opposing viewpoints. However, if these are truly worthwile political projects then Butcher should have no problems disclosing who’s funding them. His “talk radio” should be no different than that found on any Clear Channel station. After all, commercial and public radio proudly play their sponsors’ ads. Why shouldn’t Trevis Butcher? Don’t Montanans have a right to know who’s funding their favorite program on KGVO and trying to influence their vote? Meanwhile, perhaps our legislators should look at amending the campaign finance laws in the Montana Code during the next session to include…let’s see…groups with “educational and political purposes”. Or maybe they should just cut to the chase and simply insert the words “Howie Rich“. Look who’s proposing legislation to overhaul the initiative process: old friends Ed and Trevis Butcher! Trevis, of course, was the Montana money handler for Howie Rich’s terrible trio of initiatives: 154, 97, and 98. Trevis is also a good pal of the Republican Liberty Caucus sweethearts. The initiatives were, of course, struck down for the pervasive fraud found to mar the signature gathering. Representative Ed Butcher (R-Winifred) is Trevis’ daddy. Basically the bill does two things: it makes it easier to challenge a petition, but almost impossible to get it off the ballot. And it seeks to exclude or punish all those who either opposed or worked against Rich’s initiatives. A proposal to overhaul the state’s ballot initiative process didn’t excite much interest on the part of the House State Administration Committee on Thursday morning. Committee members had no questions for Rep. Ed Butcher, R-Winifred, the sponsor of House Bill 777, and the only comments from committee Chairman Dennis Himmelberger, R-Billings, were to urge Butcher, several times, to be more concise. And the only people who spoke in support of the bill were Butcher’s son, conservative activist Trevis Butcher of Winifred, and Helena attorney Chris Gallus. Six people spoke against the bill, led off by Assistant Attorney General Pam Bucy, who said the legislation was rife with problematic language and legal pitfalls. She, and most of the other opponents, urged the committee to give its support instead to Senate Bill 96, which was drafted with the concurrence of the Justice Department and the secretary of state. SB96, introduced by Sen. Carol Williams, D-Missoula, would prohibit paying signature-gatherers on a per-signature basis and would require the gatherers to be residents of Montana. The bill would also seek to simplify and streamline other aspects of the initiative process. A member of the House State Administration Committee, Rep. Alan Olson, R-Roundup, intends to sponsor Williams’ bill in the House. In other words, good stuff. A bill that, in a reasonable world, would be passed without much of a fuss. But then, this year in the House, all bets are off. During the 2002 debate in Oregon, foes of a minimum-wage increase argued that it would chase away business and cripple an economy that traditionally had higher unemployment than the national average. “With so many Oregonians already unemployed, raising the minimum wage and then increasing it annually would devastate our economic recovery,” Bill Perry, head of the Oregon Restaurant Association, wrote at the time. So…did the initiative kill the state’s economy? Job growth? Four years later, though it is impossible to say what would have happened had the minimum not been raised, Oregon’s experience suggests the most strident doomsayers were wrong. Private, nonfarm payrolls are up 8% over the past four years, nearly twice the national increase. Wages are up, too. Job growth is strong in industries employing many minimum-wage workers, such as restaurants and hotels. Oregon’s estimated 5.4% unemployment rate for 2006, though higher than the national average, is down from 7.6% in 2002, when the state was emerging from a recession. The rest of the article bends over backwards to prove the results wrong with theoretical and anecdotal evidence. As you’d expect. But guess what? Higher wages are what we’re going to get if we seriously cut down on immigration too. So conservatives need to make up their mind: either we need cheap fruit pickers, in which case agriculture should be exempt from the minimum wage and we should allow plenty of immigrants across the border to follow the harvests, or cheap labor isn’t critical and we do neither. Which is it? It’s an interesting point. Let’s see if conservative action follows conservative rhetoric. Jaime has the blow-by-blow account. “I’m sure many Montanans who were already concerned that we have corruption and problems within our state government certainly will feel that this is just another example of the need for reforms,” he said. You might remember that one of Butcher’s initiatives was intended to make judicial recall laughably easy. I take away the opposite conclusion from this decision that Butcher did. The system worked. The courts protected the state from a fraudulent, out-of-state big-money operation from buying its slate of social engineering experiments onto our ballot. In case you haven’t seen the news recently, there’s an election coming up, and there are other things on the ballot besides a couple of fellas jockeying for a Montana Senate seat. And besides the terrible trio of Rich-funded and -implemented initiatives, there’s a couple of Montana initiatives, including CI-151, which will raise the minimum wage in the state. Although I’ve yet to come out one way or the other on the initiative, it’s probably obvious to my readers that I support the bill. And I do. There’s a lot of noise from the folks who feel it’s their duty to protect big business to point out that, well, not too many people actually try to live off minimum wage, it’s a temporary thing, etc & co. Of course, there’s the flip side to the argument, that companies see the minimum wage as an acceptable amount to pay people because it’s within the law — while ignoring the fact that it’s not a livable wage. Big business will scr*w us if they can, and they often do. Raise Montana has posted the MSU-Billings poll (pdf) that shows the minimum wage initiative is quite popular with Montanans (but not Conrad Burns or Dennis Rehberg), as 76.3% of respondents favor the wage increase and a meager 14.4% oppose it. So it’s not like this initiative needs a lot of support right now, but it’s a good cause and worth writing about. Chicago blogger Mike Doyle gave me the heads up about a pretty cool project called Seven Days at Minimum Wage, a series of web-based videos hosted by Rosanne Barr about people who live on a minimum wage. The stories are pretty d*mn moving, featuring people working their *sses off just to keep afloat. I never thought I’d be called on to interview anyone. But this past week was crunch time and I had a video camera. So I mobilized my friends and colleagues and set out to find a few folks who wanted to tell America their stories of living at a wage that, though legal, is in most cases incapable of allowing anyone to pay rent. Or in the case of one woman I interviewed over the weekend, to buy food for both her and her four children.When someone not much different than you, about your age, sitting five feet away, begins to cry uncontrollably because she tells you–and maybe you’re the first person she’s ever admitted it to–that she can’t figure out anymore how to feed her family on a consistent basis and doesn’t feel like she has a future, it’s hard not to put down the camera you’ve got pointed in her face and reach out to hug her. Pretty much all you can do is cry with her too, trying to keep the picture from shaking around too badly or your own sobbing from being picked up on the mic. That’s the thing, isn’t it? It’s easy to talk about abstract economic theory when opposing something like the minimum wage — or in the case of Burns or Rehberg, it’s easy to support your big-money backers — when you forget that this is an issue that is life-and-death for some people. And when you meet some of those people. Vote for CI-151. And vote for the candidates that support it. I don’t think that anybody in Montana should be complacent about the minimum wage’s current favorable polling. In 1995, the polling was equally “good” close to the election. Then the Montana Restaurant Association dropped a meager $250,000 on a single TV buy and we lost the initiative despite being up by about 30 points two weeks out from the election. The Notorious Mark T posted about his experience with that effort ten years ago. It’s well worth a read. D*mn good point. There are moneyed interests who have a vested interest in seeing this initiative go down in flames. Good ideas don’t necessarily float through the process on their own: we need to fight for them. Keep the buzz going on the street that CI 151 is the right thing to do. I am still getting used to wordpress, and I hope this all comes across well. I have exciting news for the followers of the Initiatives here, and all over the west. This morning The Center For Public Integrity unveiled their “Takings Initiatives Accountablity Project”. Available to you at www.takingsinitiatives.org . WASHINGTON, October 3 – Ballot initiatives that seek to restrict “regulatory takings” will be put to voters in at least four Western states — Arizona, California, Idaho, and Washington — on November 7, 2006. Although the potential impact of these initiatives is far-reaching — all would generally require landowners to be compensated for government regulations that reduce property value – citizens and journalists in these four states have had little way of determining who’s underwriting the multimillion-dollar campaigns to amend their state constitutions. In November 2004, Oregon voters approved a takings initiative known as Measure 37, which has resulted in more than 3,000 claims for compensation — totaling more than $5.6 billion — being lodged with state and local governments. The Center for Public Integrity’s Takings Initiatives Accountability Project aims to exhaustively investigate the ideological and financial interests behind these ballot measures and to make the findings of its research and reporting available, as soon as is practicable, at http://www.takingsinitiatives.org. Today, for example, the Center reports that organizations controlled or funded by Howard Rich, a wealthy New York real estate investor and libertarian activist, account for 85 percent of reported pro-initiative contributions in the four states. As of September 21, the Center reports, Rich-connected groups had spent nearly $5 million — including more than $3.3 million in California alone – to push the takings initiatives. The Center’s new website will be updated several times daily through Election Day. Well I hope everyone enjoys the site, I know I will be digesting it all day. So PBS NOW ran a show on the Howie-Rich sponsored initiatives, focusing on Travis Butcher’s little operation here in Montana. I meant to get to it over the weekend, but I was in Butte…and was waylaid. Good show. A quick and well-crafted intro on who, how, and where the initiatives were generated, run, and funded. First and foremost: remember, the initiative process is called a process for a reason. As Jeff Mangan mentioned the other day, changing the state constitution is a delicate thing that should not be easy. And it should be democratic along every step of the way, from genesis to signature-gathering to election day. The process used to attempt to put Rich’s little trio of social experiments on the ballot was riddled with fraud and notably un-democratic. Travis Butcher was no more than a front-man for an operation birthed and born by an individual or handful of individuals. If you think this kind of operation is kosher, perhaps you also believe we should scrap the whole signature-gathering process altogether and just auction off ballot space every year to the highest bidder, because essentially that’s what Rich tried to do. Well, now the initiatives have been scrapped; let’s hope there will be some fines all around. In the Missoulian’s ever-constant quest to tarnish its reputation as a fair newspaper and thus endear itself to the right, in an article this Sunday, the paper downplayed the origin of the initiatives, and gave equal credence to Butcher et al.’s notion that these initiatives had grassroots support. That is, if your grassroots can be found on the Astrodome infield. Let’s face it: most people like the services the government provides. Education. Law enforcement. Infrastructure. They also like the idea that they can help shape their communities through their democratic institutions. And to counter all that, a small, determined, and insanely wealthy band of ideologues want to conduct their laboratory-cooked economic experiments on communities where they don’t live. Fine. This is a democracy. But follow the law. And follow the process. If enough Montanans are interested, we’ll see the initiatives again. Other than maybe the regulatory-takings bill, I’m not holding my breath. So the news is in, the trio of libertarian social experiments – initiatives 97, 98, and 154 – have been struck from the ballot by a Great Falls judge. Sandefur agreed, writing that the signature gathering process “was permeated by fraud and procedural non-compliance perpetrated by paid, out of state, migrant signature gatherers” paid for the initiative backers. Please don’t start in on how we should let the voters vote on the legislation – part of the democratic process for initiatives is that they should have enough popular support in the state so that citizens will actually gather signatures, and other citizens, once duly informed of the initiatives’ intent, will sign petitions. That way the true dogs won’t make the ballot. Instead what happened was that a single man threw millions of his own money at signature-gathering companies that hired professionals to collect names while deceiving voters about the content of the petitions they were signing. This was not a grass-roots movement. It was an ideological experiment paid for by an extremist and cloaked in the garb of a true citizens’ movement. If you’re interested in any of these initiatives, well, there’s another election in a couple of years. Start your own organization, round up your own volunteers, and go to! Get your proposal on the ballot. I’ll applaud your efforts as I skewer your dogma. Don’t let the door hit you on the *ss on the way out, Howie. Meet Howie Rich! The picture alone is worth a blog post. Previously the Manhattan real estate developer and hidden funder of Montana’s trio of terrible initiatives – 154, 97, and 98 – was about as camera-friendly as a mafia don. The only picture on the Internet of Rich available was a grainy snapshot from some Manhattan function on Hart Williams’ blog. He was a recluse, pulling the strings for putting fiscal social engineering intiatives on the ballot in Arizona, California, Idaho, Maine, Michigan, Montana, Missouri, Nebraska, Nevada, North Dakota, Oklahoma, Oregon, South Carolina, and Washington, buying signature gatherers through front organizations in an attempt to make the initiatives look like grassroots-driven legislation. The ruse is over. This web page is an obvious acknowledgement that Rich is behind the intitiatives. Check it out. All the information is there. Under “Our Campaigns” you see the proposed inititaives. Under “State Partners” (now there’s wishful thinking) is listed each state and the initiative Rich has put on the ballot and links to the local websites. There’s even a blog, which posts the outrageous anecdotal perfidies of government – completely unrelated to Rich’s initiatives – the usual pap used to whip up the usual gang of outraged anti-government nuts. Heck! I’m bookmarking this site! Instead of trying to follow Hart Williams’ exhaustive work uncovering the connections of each state to Rich, I’ll just trundle over here! There’s no more need to link to every story that traces their state’s proposed legislation through the financial labrynth and paper trails to Howie Rich: it’s all right here! I’ll hand it to Rich. He’s no dummy. It was obvious his secretive work was damaging the initiatives politically – thanks to the blogs! Maybe five years ago slipping under the radar would work, especially considering traditional media’s almost nonexistant coverage of the issue. But the blogs were making a stink, so Rich put up this page, posted a generous portrait, and is apparently on a PR offensive, pretending that he’s been on the up-and-up all along. So here you go, Montana journalists. The link from the initiative to its financier. Of course, now that Rich is tacitly admitting his support, it’s no longer a story, is it? Today the Billings Gazette offers up two guest editorials on CI-154, one “representing” each side of the debate. Actually – and the quotes may tip you off – I found Terry Anderson’s defense of CI-154 to be maliciously misleading, confusing, and…well…bad. Budge should have written this thing. At least he admits it’s a regulatory-takings initiative, not an initiative dealing with eminent domain. So let’s look at the editorials. Though the Kelo ruling was a legal set back for property-rights advocates, it has since sparked a nationwide movement to limit eminent domain powers, specifically, and land-use regulations, generally. The comparison of Kelo to CI-154 is completely irrelevant. 154 is not an initiative that limits the government’s power of eminent domain. In fact, if passed, it would place developers under fewer restraints. Kelo might have been stopped by a citizen’s initiative making environmental regulations stricter at the development site, for example, a citizens’ tactic for controlling development 154 would basically eliminate. True, if taxpayers have to pay for regulatory takings, they may demand fewer of them. But this is just the law of demand telling us that raising the price of regulation will reduce the demand for it – “derail it,” if you will. Of course, CI-154 means that the Governor would have to accept the court’s ruling and close off access to our public waterways so a few wealthy out-of-staters can enjoy their views and pretend they’re “real” Montanans. Is this support for 154? Do Montanans really want right Hollywood stars closing off access to our public lands and waterways? Somehow Anderson believes we do. A vote against allows government to take property without paying and leaves all property owners vulnerable to the tyranny faced by Susette Kelo. Um. Current laws require the government to compensate owners for land taken under eminent domain laws. CI-154 has NOTHING to do with eminent domain! Terry L. Anderson and other writers keep bringing up the Connecticut case where New London condemned private land and gave it to a developer. That is a dishonest scare tactic. That cannot happen here because Montana law wisely does not allow it. What Anderson and the out-of-state money people who paid to collect the signatures for I-154 want is to eliminate all land regulations. They will not mind if the developers cover all of Montana with asphalt subdivision roads and asphalt roofs. They say they have a right to develop their private property and that regulations should not stop them. As Mattice notes, the Montana Constitution says that property owners – having the right to acquire, possess, and protect private property – must recognize “corresponding responsibilities.” That is, you shouldn’t develop your land if it negatively impacts your neighbor’s property. Environmental regulations are our community’s expression of how we want to treat our natural spaces and our health and well-being; “derailing” it – as Anderson admits 154 will do – seems to ignore this little facet of the Constitution. And that New Testament stricture, “do unto others” as well. I said once that high-density subdivisions should be limited in remote areas to avoid depleting the water table for existing uses and avoid pollution of wells like we read about in the North Helena Valley. Someone answered, “We have plenty of water and our well isn’t polluted now, so why worry about it?” Should we wait until the water table drops and all the subdivision wells are polluted and then worry about it? It is too late then. The West has a fragile ecosystem. Unchecked development aiding a rapidly growing population will only mean we’ll all have to pay for CI-154 later. So it goes. The terrible trio of ballot initiatives are being challenged in court. The request is based on allegations that the signature gatherers duped local citizens across Montana into signing petitions, provided them with false information and ultimately tainted the integrity of the initiative gathering process, according to the lawsuit. I doubted legal strategies before, but that was before I read that they submitted 41,761 of their signatures under affidavits of a single signature gatherer. They’re actually claiming that one guy gathered over 8,000 signatures in a single week (a typical week for a signature gatherer would be several hundred). This is absolutely ridiculous. I remember very clearly working my [*]ss off for four months, with 8 staffers, and over 250 volunteers to collect more than 34,000 signatures in 2004. It was one of the hardest things I have ever done. If homeboy gathered 41 large by himself, I’ll eat my hat. “It’s anti-American,” said Butcher, who promised to fight the lawsuit. Those of you following the source of funding for these initiatives will recognize the irony. You can tell when a right-winger is in trouble when he starts questioning the patriotism of his opponents. What’s that quote…“the last refuge of a scoundrel”? Unfortunately for Butcher, gathering signatures is also part of the democratic, and very American, process. They’re called “citizens’” initiatives for a reason. If the court kills the initiatives, I won’t shed any tears. Yes, it’s fine to have a vote on ideas, etc, but not under false pretences and shoved down our throats. If you support these bills, I suggest ramping up for a genuine Montanans’ movement to gather signatures and putting this on the ballot the right way. I know Dave Budge, for one, has sworn to revive CI-154 for the next election: I wish him well. In fact, I’m thrilled he’s going to do so. I’d rather have my curmudgeonly neighbor out getting signatures than a pack of mercenaries funded by a New York real estate developer. It’s official! The Billings Gazette has meticulously researched the funding for the trio of terrible initiatives and traced it back to New York City real estate developer, Howie Rich! In a full-feature article explaining the whys, hows, and wherefores, and basing its story on evidence supplied by blogs and the High Country News, the Gazette has it all! Published reports have identified New York City real estate developer and Libertarian Howard Rich as a key supporter of property-rights initiatives like I-154. Um. That’s pretty much it. What those published reports are, well, you’re on your own there, pal. And ignore the bold header under which this sentence appears: “No Source Revealed.” You don’t really need to know anything about this, do you? Right? Scr*w the “five Ws”: why, what, where, when, and how. That stuff is for high-school papers. Update: In the comments, Shane said we should all go over to the story and leave some comments. That’s a fantastic idea! Follow the link in the post and ask for more information on Howie Rich!